You probably don’t know Cathy Cruz Marrero’s name, but you know her greatest accomplishment. Cathy Cruz Marrero is the woman who was caught on a security camera falling into a mall fountain while texting. That’s right, Fountain Girl’s name is Cathy Cruz Marrero, and now she’s threatening to sue the Berkshire Mall in Wyomissing, Pennsylvania, for letting the video of her falling into the fountain get leaked online. 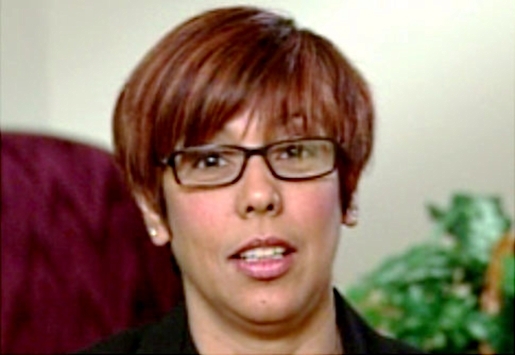 However, while she may sue, and she may win, coming forward was probably the dumbest thing Cathy Marrero has ever done… well, second dumbest thing, after falling into a mall fountain while sending text messages, that is. By coming forward, not only has she said to the world that she’s so stupid she can’t text and walk at the same time, she’s also exposed herself to prosecution by authorities. As it turns out, Ms. Cruz Marrero has a criminal record. It seems she used a stolen credit card to charge $5000 worth of goods and promised she’d repay the balance by October 2009; she didn’t repay, and now her greedy lawsuit has exposed her as a criminal facing felony theft charges.